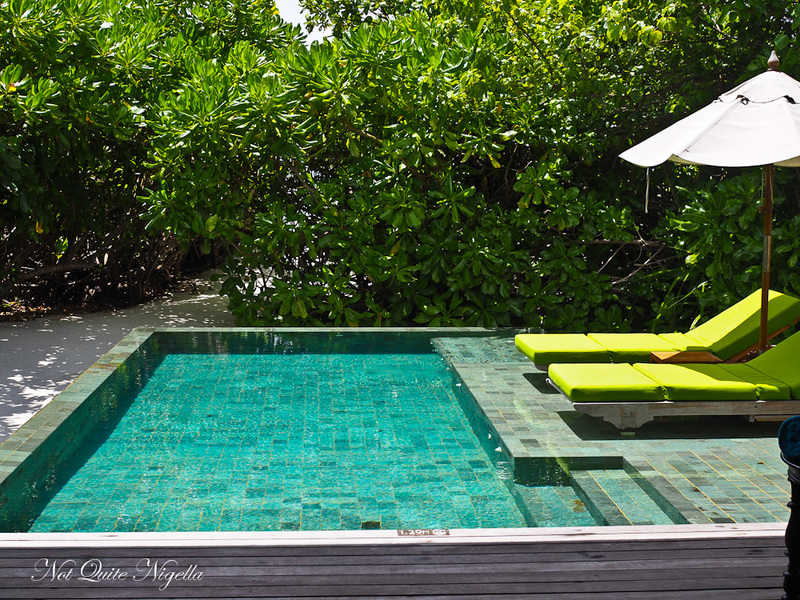 Our last stop in the Maldives is the Anantara Kihavah. 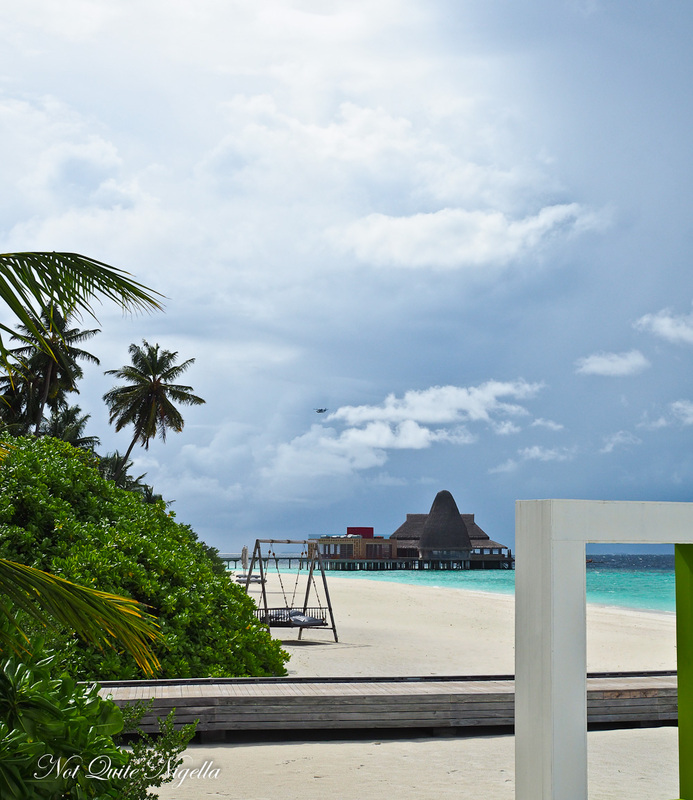 There are four Anantara resorts in the Maldives but Kihavah is said to be the pick of the four. Located on Baa Atoll it is a 10 minute boat ride from Amilla and 40 minute boat ride from Finolhu. 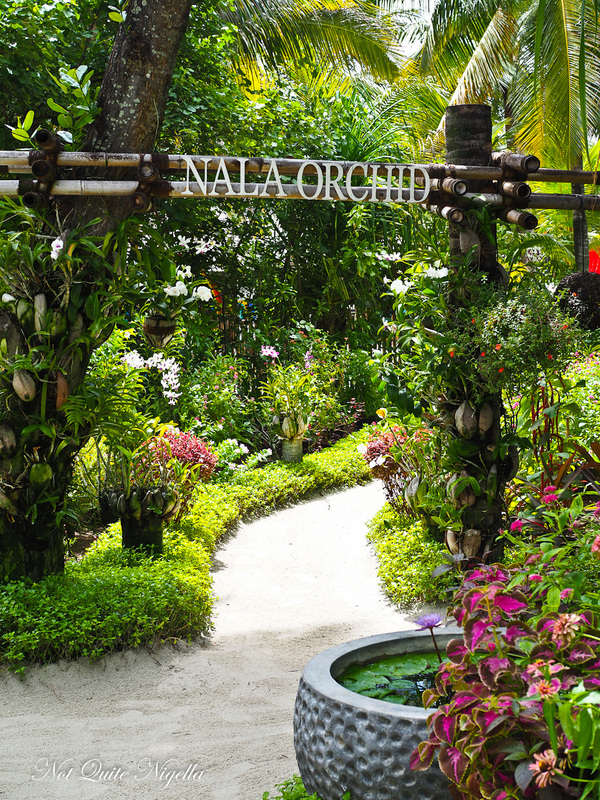 Come and take a look at what this luxurious Maldivian resort has to offer and how they wow guests. Our greeting is impressive, staff welcome us with a beating drum and a welcome drink before we are shown to our accommodation. 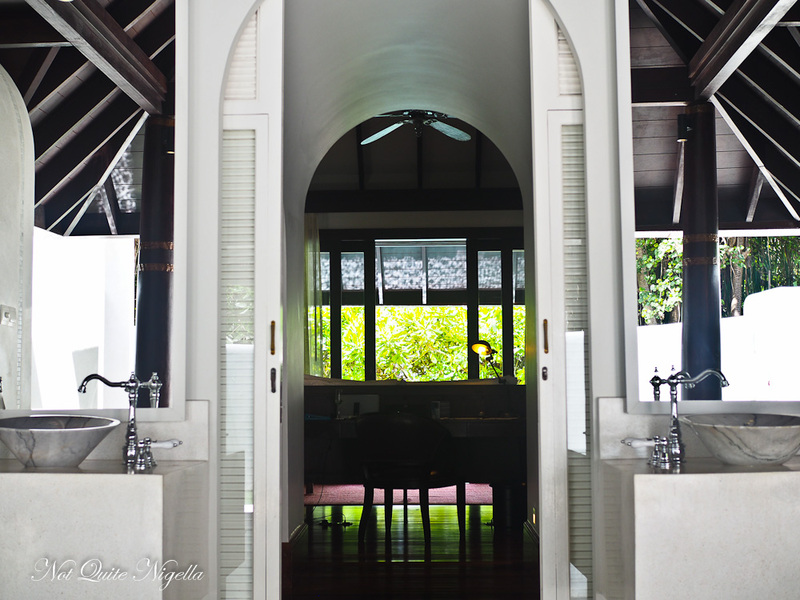 In terms of the three accommodation that we have tried Anantara is a bit more expensive and the property is older. 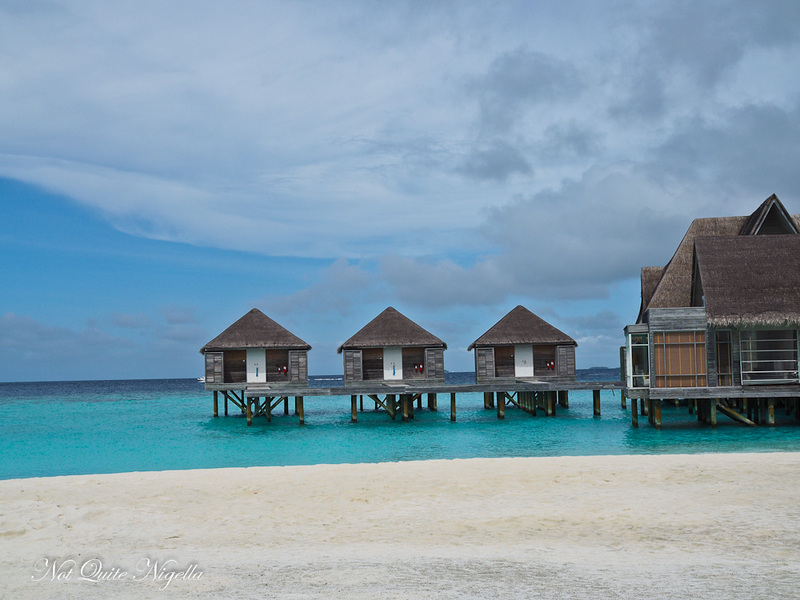 Alas we don't have an over water bungalow so we can't compare the three resorts' over water bungalows. 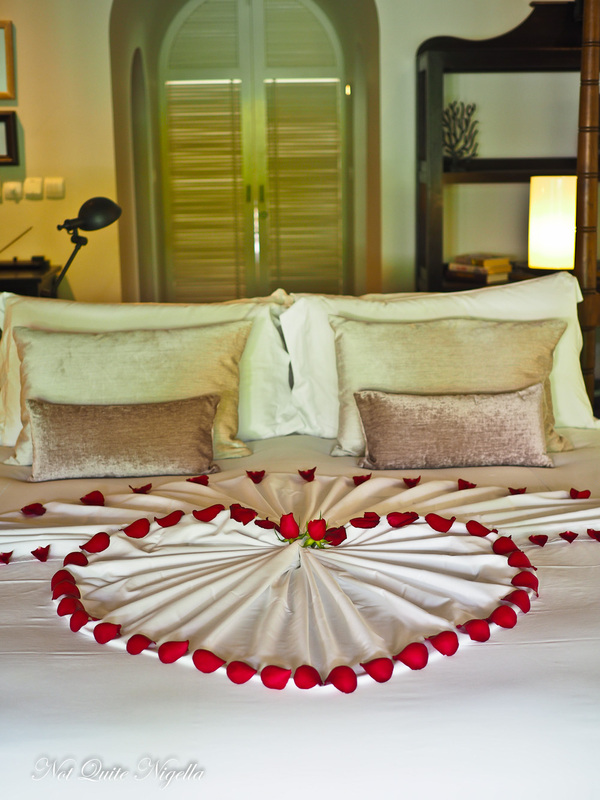 We have the entry level accommodation, a 258 square metre beach pool villa. 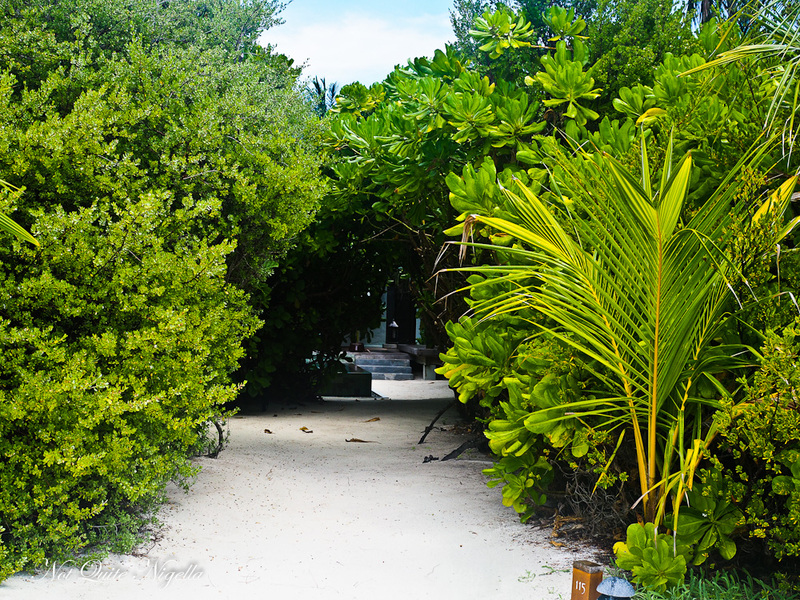 There is direct beach access from the villa on the private beach (where staff are not permitted for privacy). There is a 1.2 metre pool, an outdoor swing and a dining pavilion. Inside the room has a king bed (slightly bouncy) with fruit bowl, tea and coffee. It's nice but to me the Maldives is really about the spectacular over water bungalows and we could be in Thailand for all we know as there is nothing really distinctively Maldivian about the beach villas. I would recommend trying to get the over water villa although they are quite pricey ($1,600AUD a night at time of writing) especially compared to Amilla or Finolhu's overwater bungalows. The bathroom is an entirely outdoor bathroom with a gorgeous two person outdoor bath, double sinks, shower and a doorless toilet (which takes Mr NQN some getting used to). There are his and hers luggage and dressing rooms and a coffee machine as well as tea kettle, wine fridge, regular fridge with daily replenished fruit bowl and a popcorn machine. 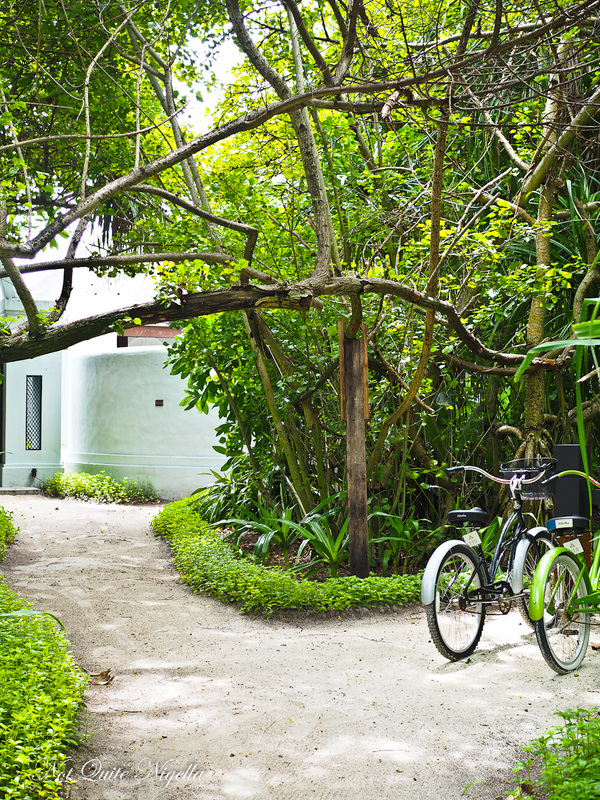 Each villa has relatively fast and free internet and it's own butler or villa host as well as bikes for the guests to ride. Our butler Ihsaan is very accommodating. One advantage is that the island is small so it's easy to walk to the restaurants and amenities. 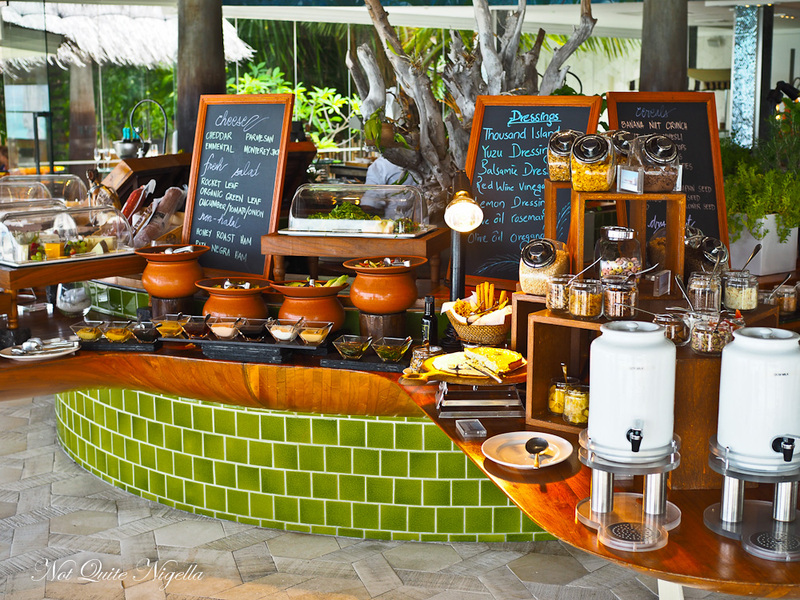 There are several restaurants and the Manzaru restaurant and Plates buffet restaurant are located together while the premium restaurants Salt, Sea, Fire and Sky are clustered together on a wharf nearby. The level of English spoken here is very high and staff greet guests with a hand on their heart and a smile which is a nice touch. 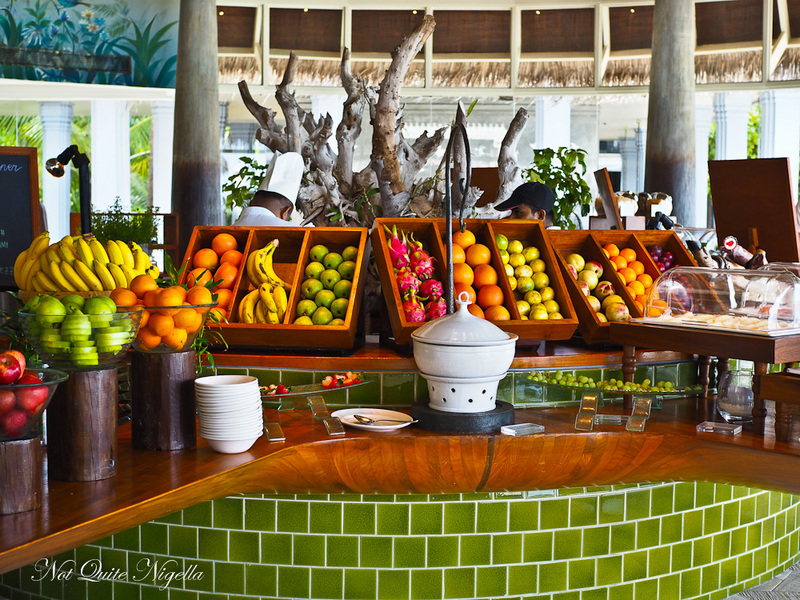 Food on resorts in the Maldives isn't cheap. For example a wagyu beef burger is $65USD and you can quickly rack up quite a bill here like we did. The resort is best known for its underwater restaurant Sea. Seating only 16 people bookings can be hard to procure so it is open for breakfast, lunch and dinner. A separate review is to come on this unique and wonderful experience. Breakfast is a real feast here with several stations featuring legs of jamon iberico ham, an Asian section and my favourite section the Arabic section where they make Arabic cheese pockets cooked to order along with fresh pita bread and dips. There is also a plethora of tropical fruit that they have already pre cut or they can slice it up for you on request. And if you really want to make the most of being on holiday there's the ice cream cart for you to bring out your inner kid while on holidays. Alongside the buffet offerings is an a la carte selection of foods (although truthfully I was really just happy with the buffet selection for the three nights we were here). 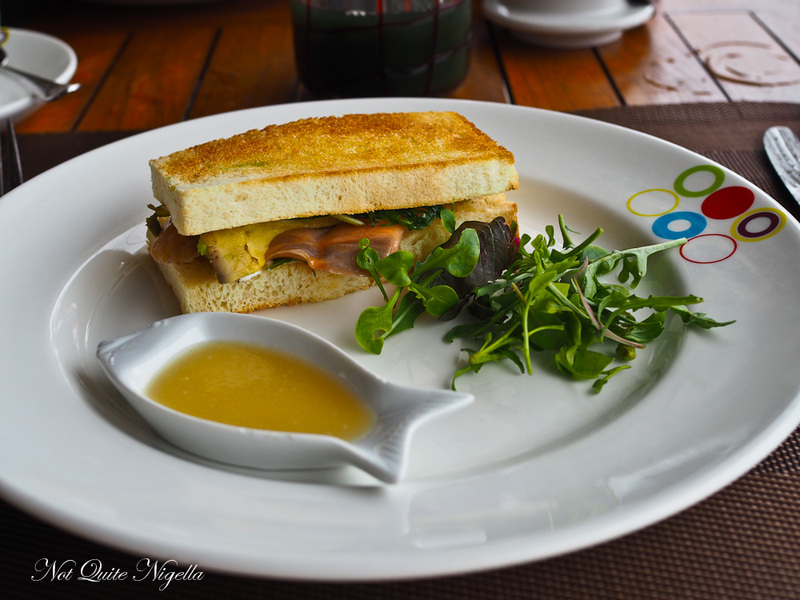 I liked the smoked salmon and avocado sandwich, a neat serve of buttered toast filled with smoked salmon and avocado with a small side salad and dressing. There are also fresh juices available as well as a fabulous green juice with spirulina and pineapple as well as beetroot. And a new selection that started while we were there was the Maldivian section with local curries, breads and noodles. These are all fantastic and I really recommend giving these a try. The fish curry and fish fried rice as well as the masuni fish salad, chapati and biskimiya (deep fried vegetable and egg pockets) are superb. 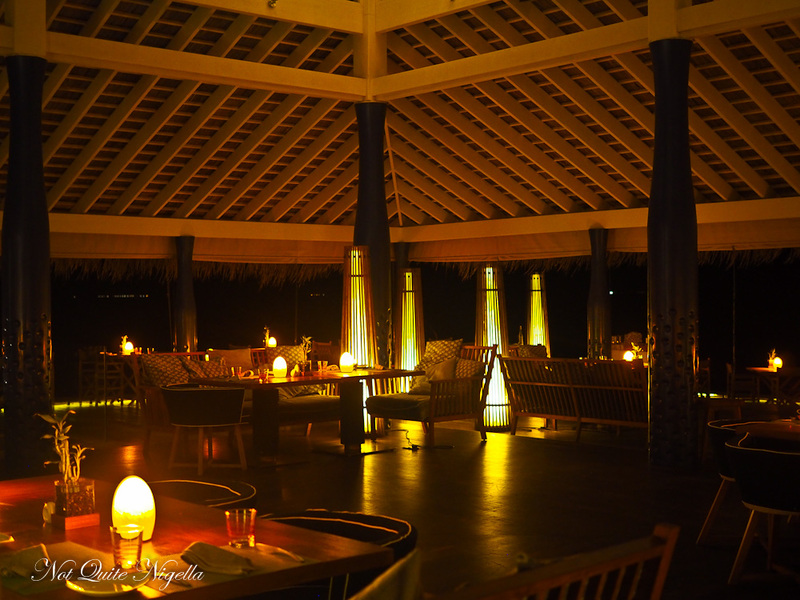 My favourite restaurant while staying there (apart from Sea which you tend to only dine at once) was Salt restaurant. In fact Sea and Salt share the same kitchen so the same chefs prepare the food at both restaurant. Salt is based around the range of salts that they have in the restaurant from all around the world. 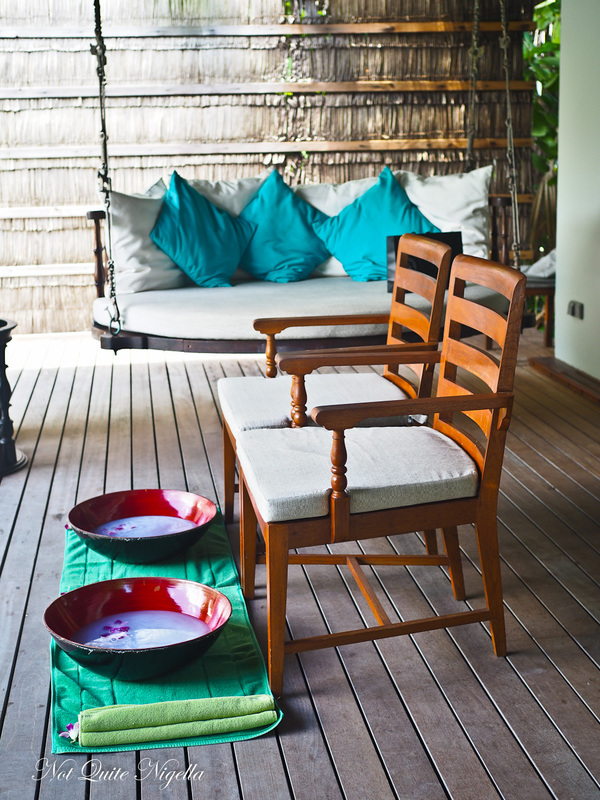 You can sit on the balcony or pull up an oversized chair with plenty of comfortable cushions. The waiter brings around a trolley with the salts and places three on your table to garnish your food. It's not really needed though as the food is perfectly seasoned. 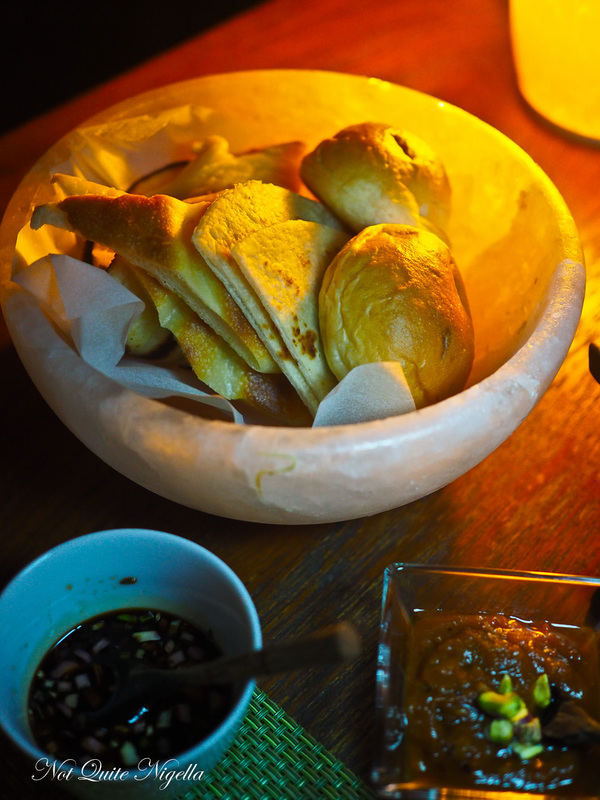 A basket of bread comes and it's comprehensive with rolls, chapati, naan and coconut bread. They bring a range of sauces along side it. Did I mention how much I looove sauce? They love sauce here at Salt too. 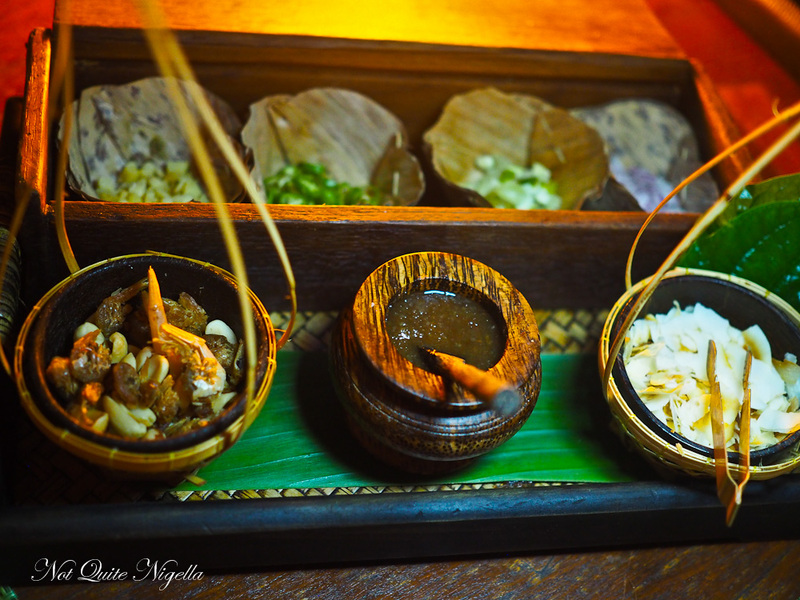 And then there's the Miang treasure box as an amuse bouche where you fill the fresh leaves with coconut, prawns, nuts, ginger, chilli and sauce and wrap them up. We start with the ultimate spring roll filled with lobster, prawns and shiitake. At this price you would want it to be good and I have to say that it's a pretty damn good spring roll with lots of seafood and I love the dipping sauce tray. 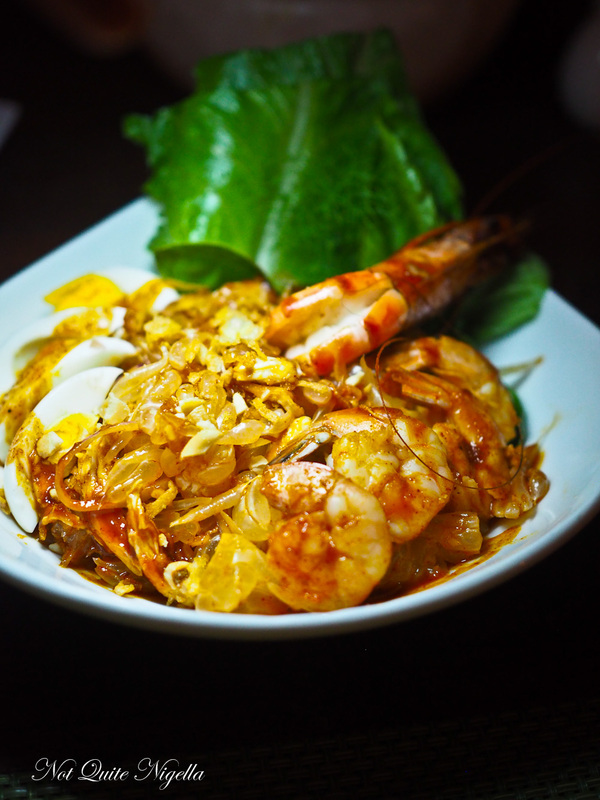 The pomelo salad is topped with tiger prawns, chicken, mint, coriander, shallots and a hard boiled egg and is a sweet, tangy, refreshing salad. Although prices do seem high (for Australian standards, due to everything needing to be imported) there is a generous amount of ingredients and serves are substantial. Our mains are the Pu Pu platters. 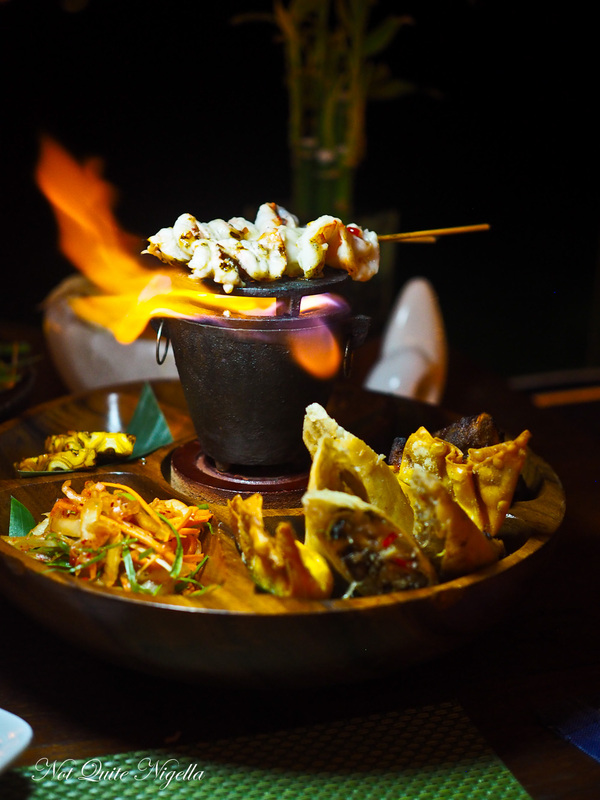 Puupuu is a Hawaiian concept where food is served as a platter and there is a small grill on the platter to finish off the cooking of meats or seafood. They bring two enormous platters to our table. I think we could have easily shared one but our waiter recommended getting one each. 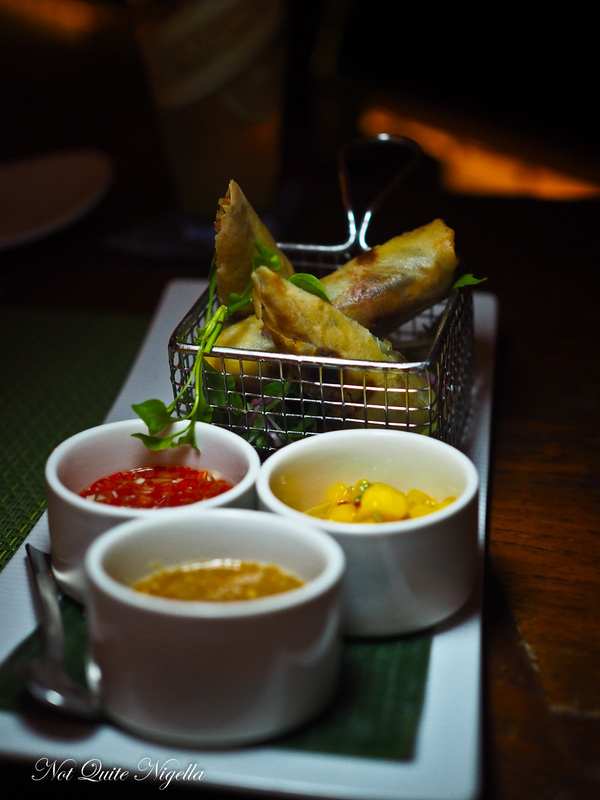 Each Pu Pu platter comes with vegetarian spring rolls, crab Rangoon wontons, kimchi flavoured coleslaw, glazed pineapple and Asian chutneys. 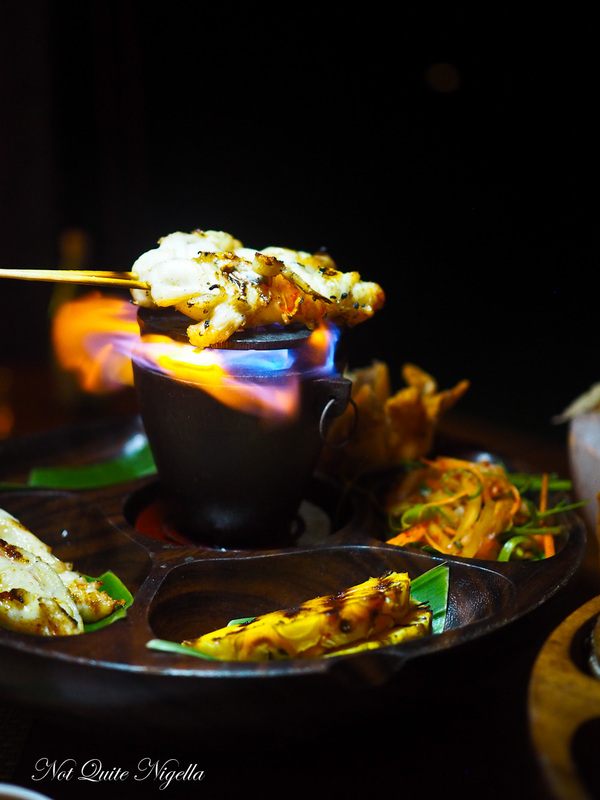 This Pu Pu platter features Indian Ocean lobster skewers marinated in a yuzu, sake and palm sugar glaze. The other platter has hoisin and sesame glazed pork ribs, jumbo bbq chicken and chilli garlic prawns. They're both lip smackingly tasty. The lobster at the resort is actually stored live in a cage in the ocean. 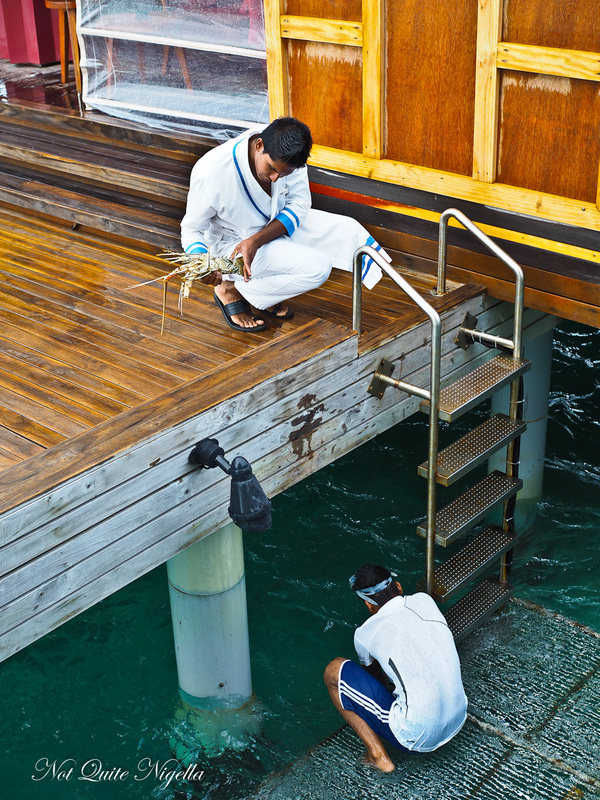 Every day one staff member climbs down with goggles and removes the number of lobsters needed by the resorts' kitchens for the day. 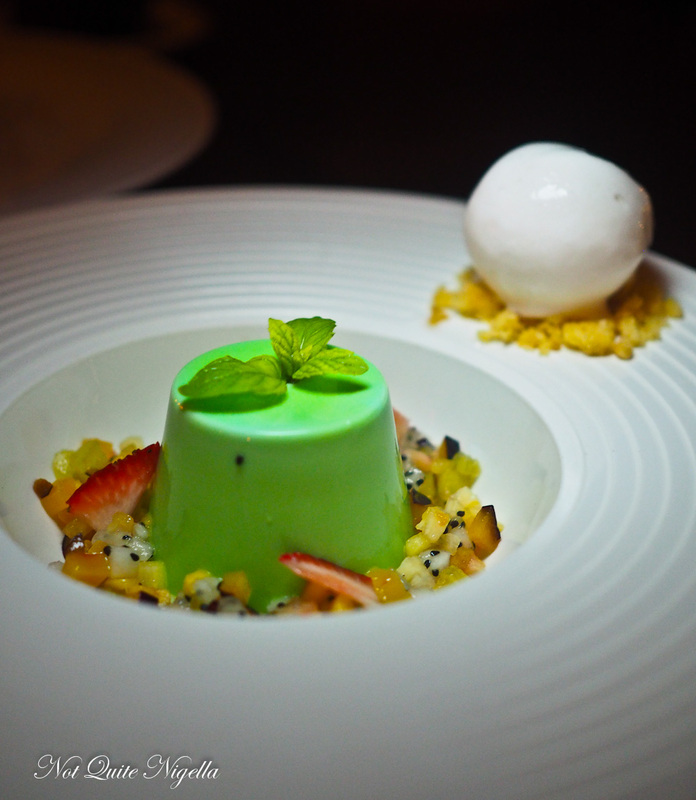 Dessert is a lovely wobbly pandan panna cotta circled with coconut palm sugar, exotic fruit salad, coconut sorbet and fresh mint on top. 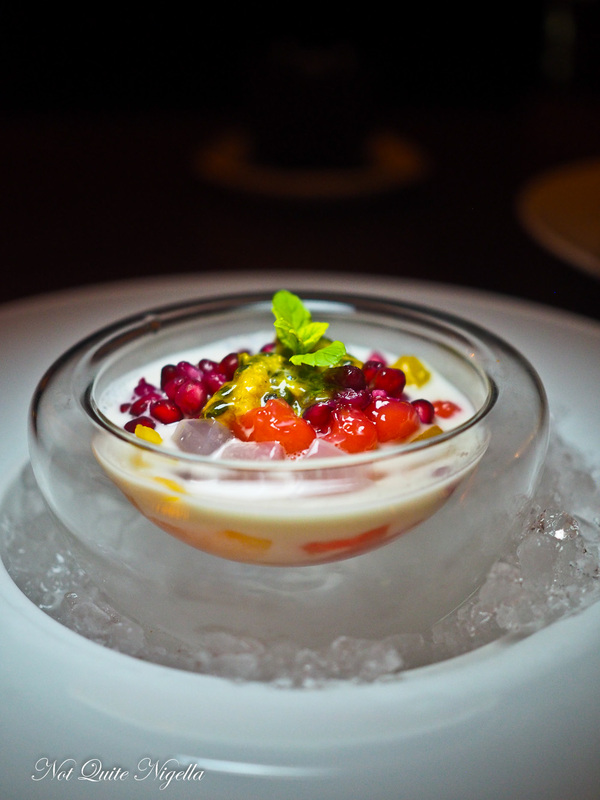 We also enjoy a Thai coconut treat dessert with crushed coconut ice, jackfruit, young coconut meay, mango, papaya, passionfruit and pomegranate seeds. 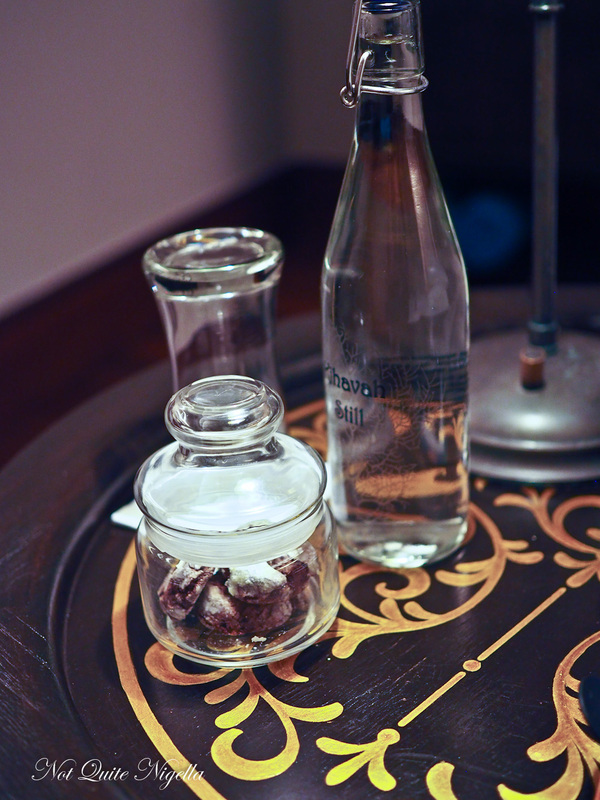 And when we return to our villa every night, there is a jar of delicious freshly baked cookies. Manzaru is the Italian restaurant that is open at night. While the bread basket is excellent and the service lovely I wasn't quite as taken with the food there and I don't often feel like Italian food in tropical weather. 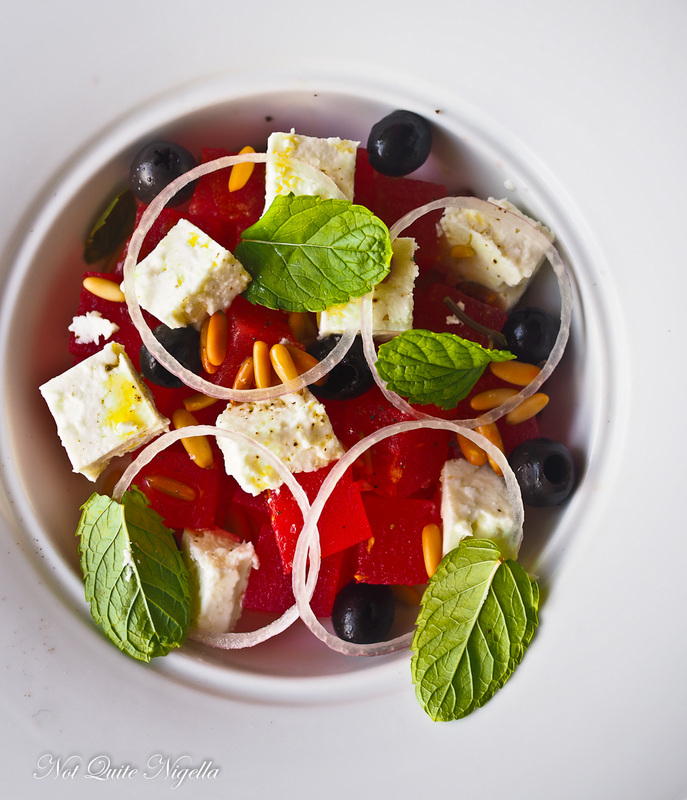 However during the day we really enjoyed Manzaru's lunch menu with a refreshing and gorgeous watermelon salad. 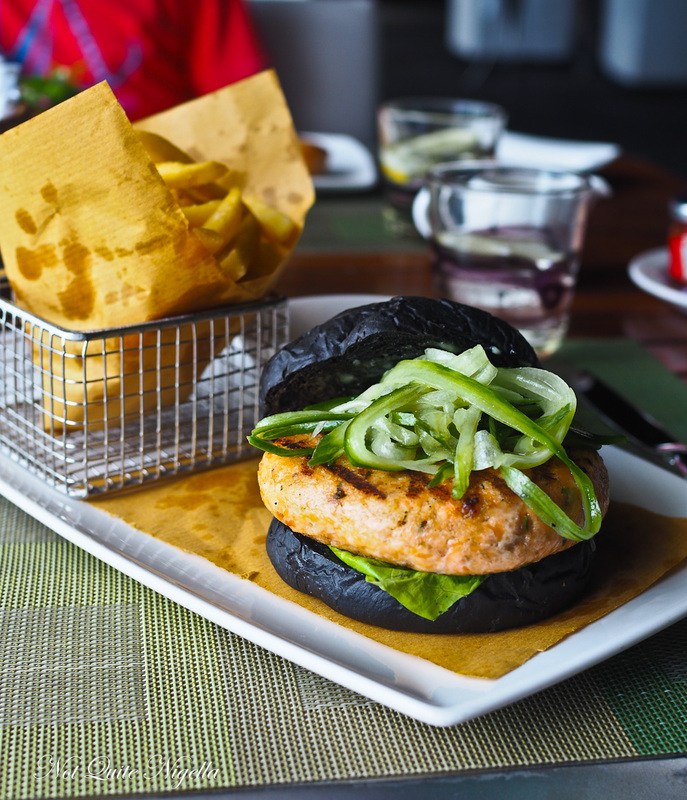 The salmon burger on black brioche bun is also very good. One thing that the Anantara Kihavah is known for is their snorkelling and the snorkelling at the reef just in front of the dive centre is exceptional. We have a patient snorkelling guide that coaxes me in the deep water gently. Once we reach the edge of the reef there is a steep drop off and that is where the real action happens. There is such a rich diversity of marine life here and we lose count of the colours, type and sheer number of fish. We watch an enormous moray eel slides into an enormous coral. 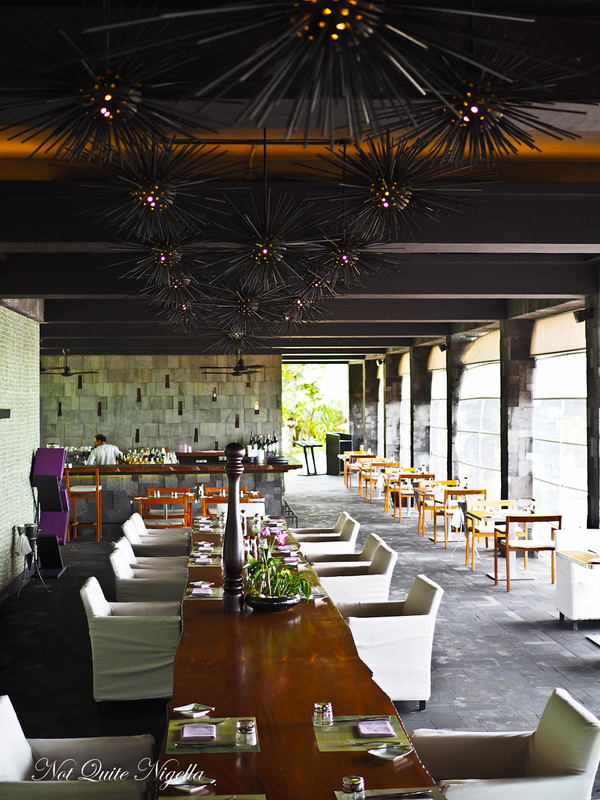 Just near the Sea, Fire, Salt and Sky cluster of restaurants is the Anantara spa. 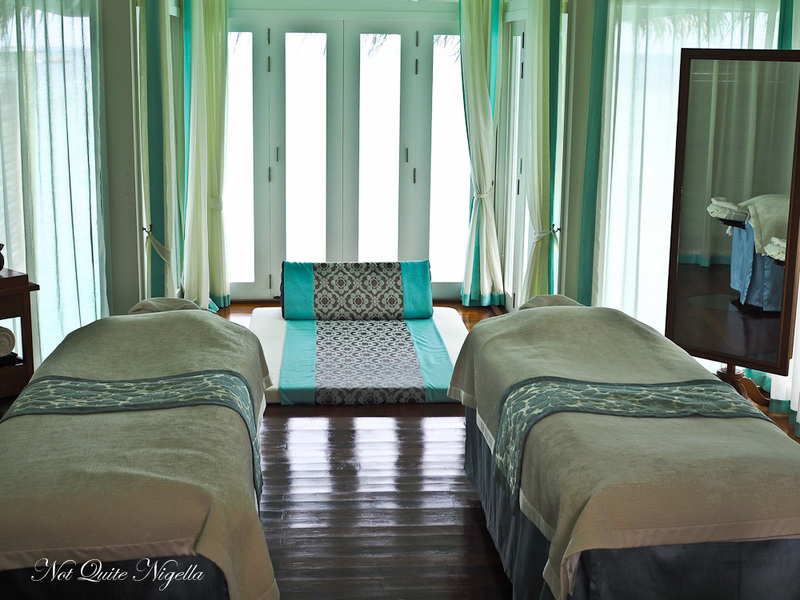 The spa is made up of six over water treatment suites with dual treatment rooms with showers and facilities self contained in each bungalow. It's one of the most beautiful spas I have ever visited. We are asked to bang the gong when we are ready for our foot cleanse. 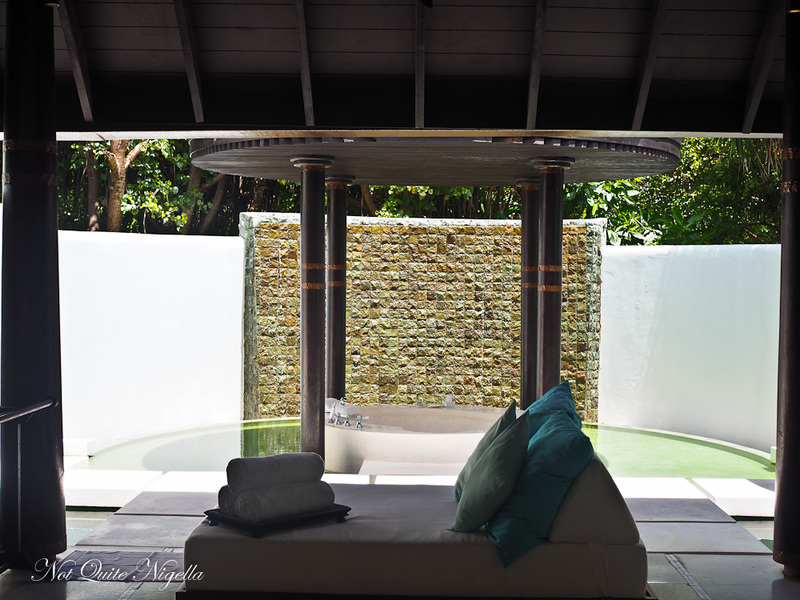 My spa therapist Mega is fantastic, administering the signature spa message in a tranquil setting. When face down there is a cut out showing us the lapping turquoise water below where fish swim idly by. By now I realise that there really isn't any place quite like the Maldives. So tell me Dear Reader, is there a hotel, city or country that really knocked your socks off? 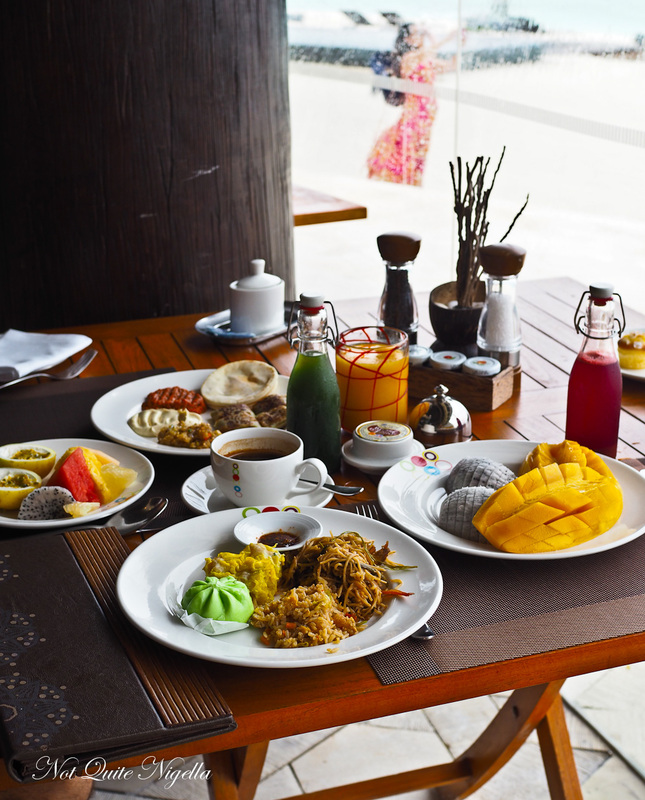 Do you tend to eat two or three meals a day when you're on holidays? 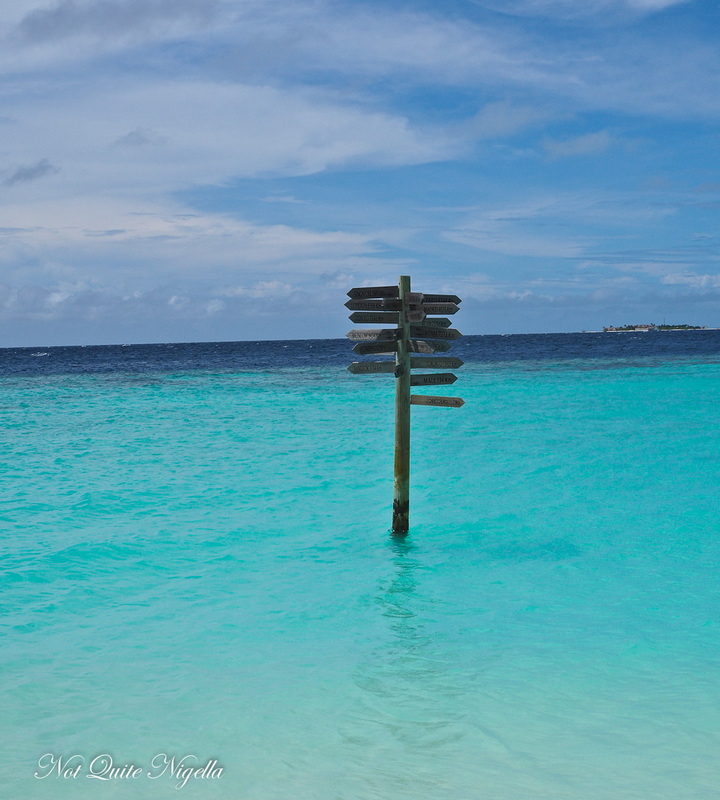 Where has been best snorkelling location for you? 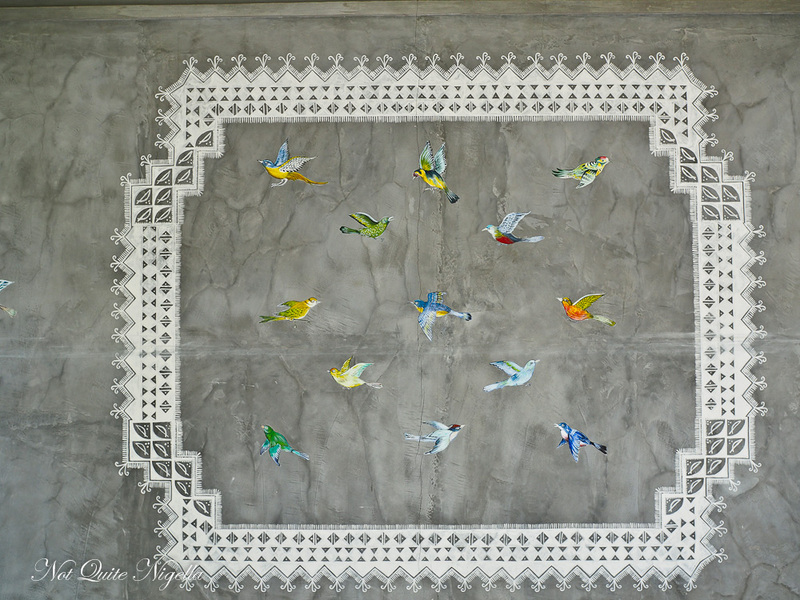 NQN and Mr NQN were guests of Anantara Kihavah but all opinions remain her own.